Enjoying the growling wind that flowing within the window frame is best while having a cup of tea or coffee and muffin or pie. It is kind of luxurious appeal that you can enjoy after all day working. 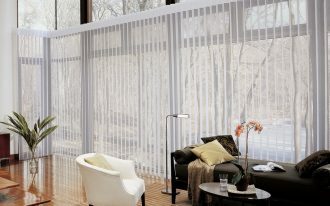 It is simple, but it gives you best refreshing treatment without spending much money and of course time. 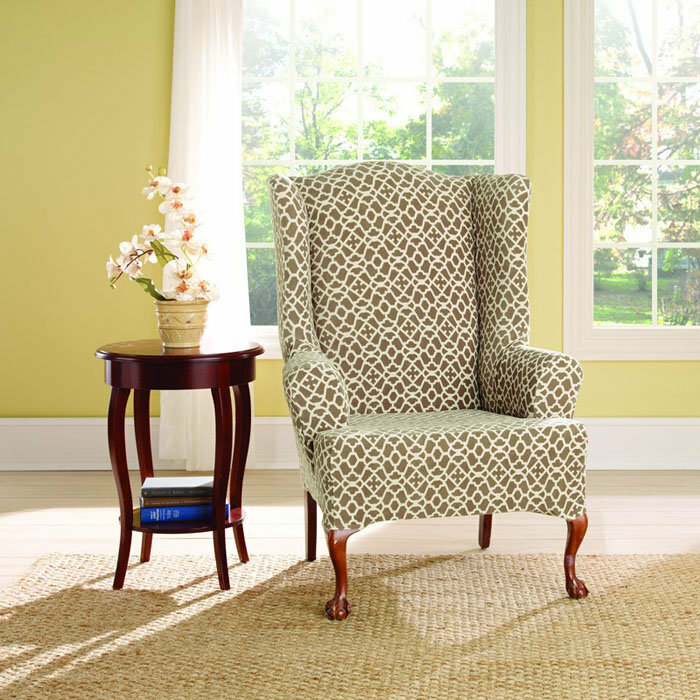 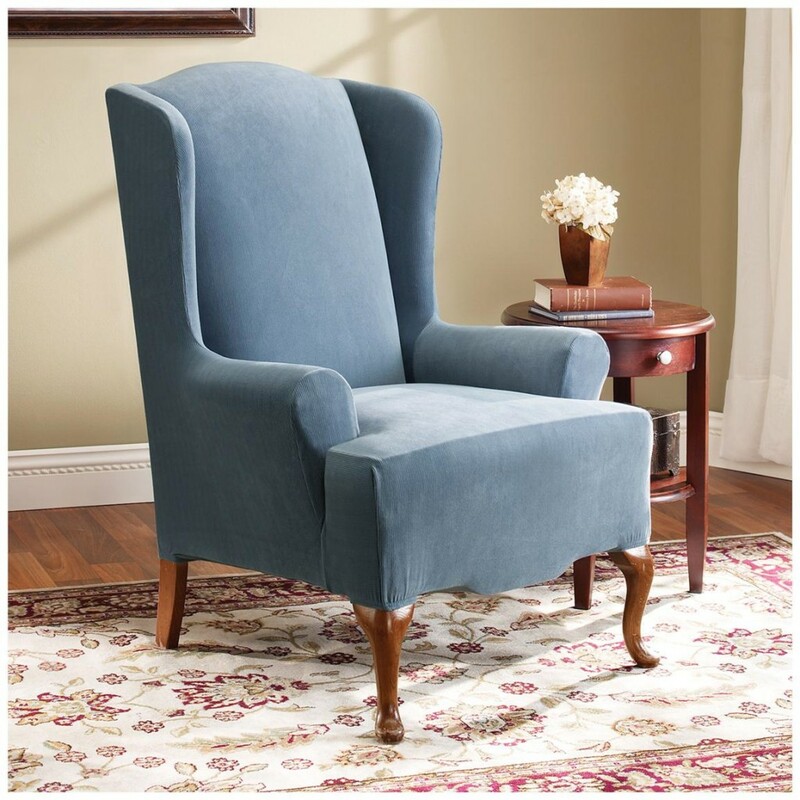 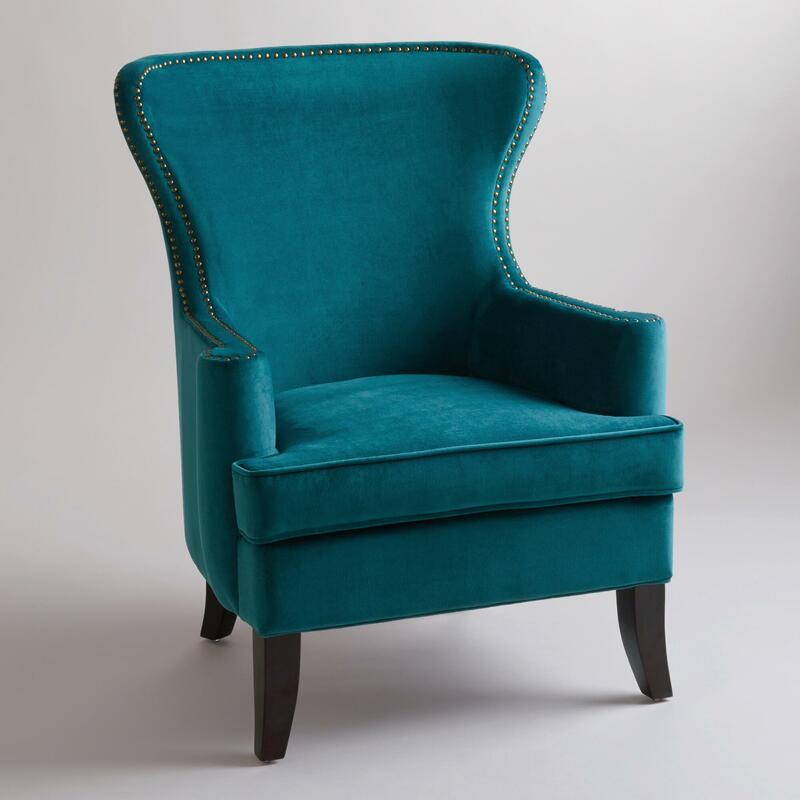 A wingback chair slipcover is a good solution to achieve a perfect seating beneath a window! 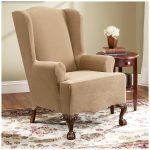 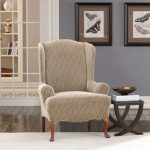 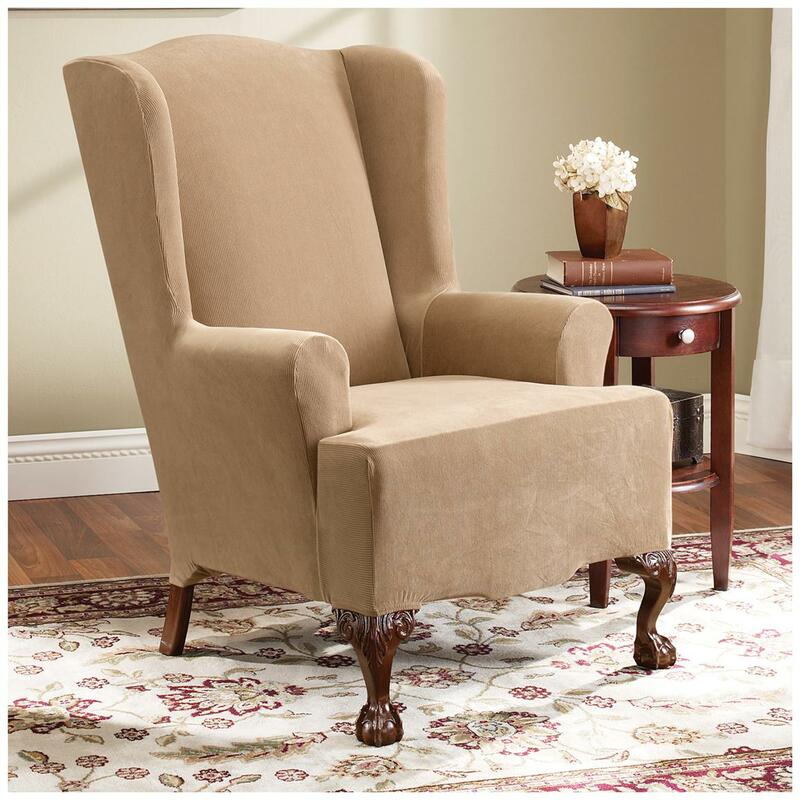 A nice look of wingback chair slipcover is the one in cream tone. 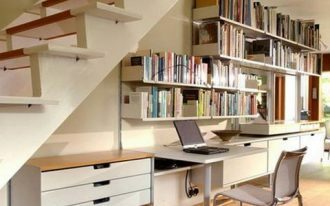 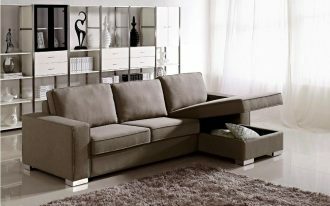 It shares elegant appeal with posh tone aside a wooden small table with drawer. 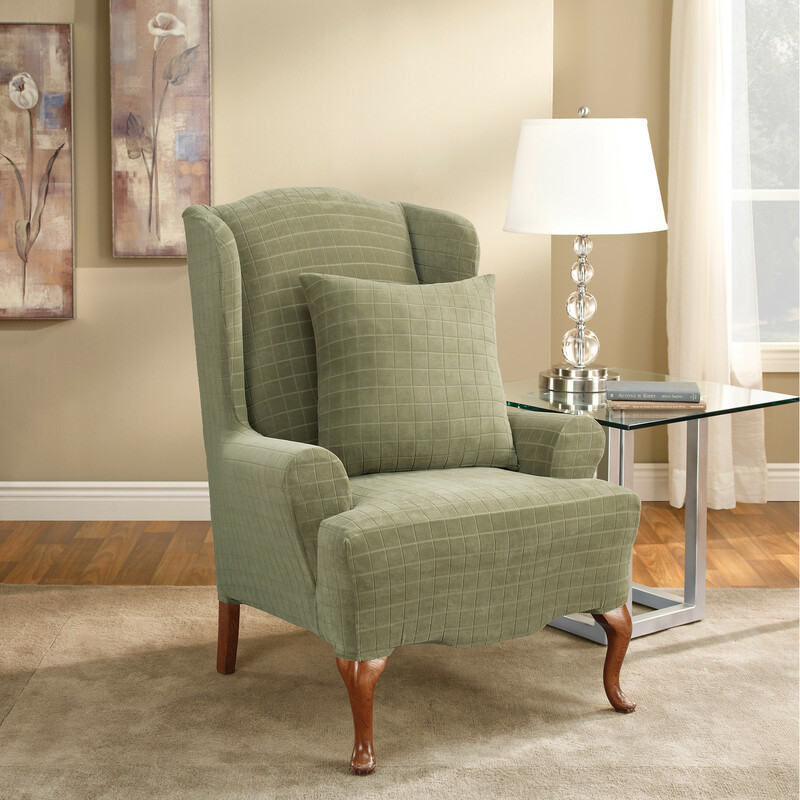 Large backrest aims to give comfortable feeling for you to lean your body on. 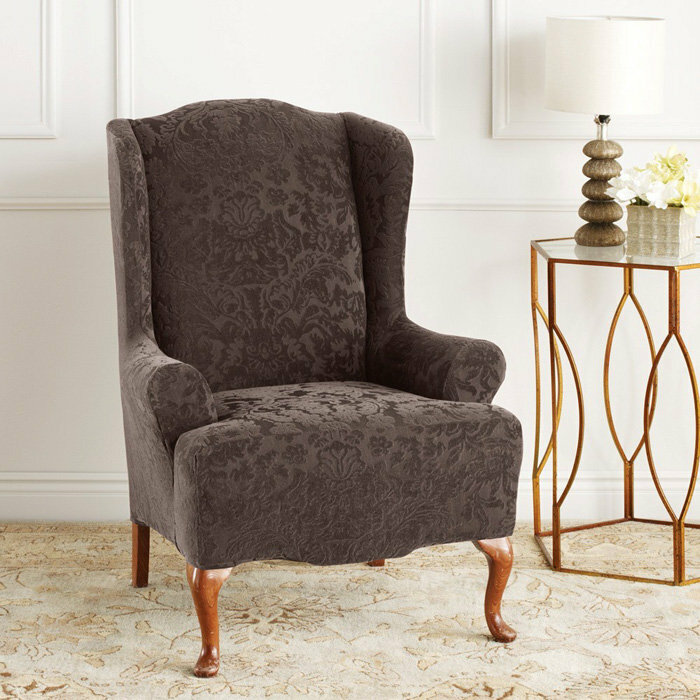 Another design appears in patterned white fabric with a unique crossed side table in black tone. 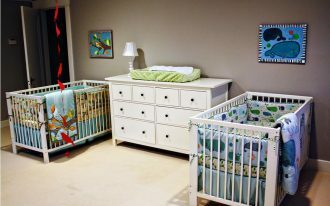 It fits a house with navy blue painted wall for contrast scene. 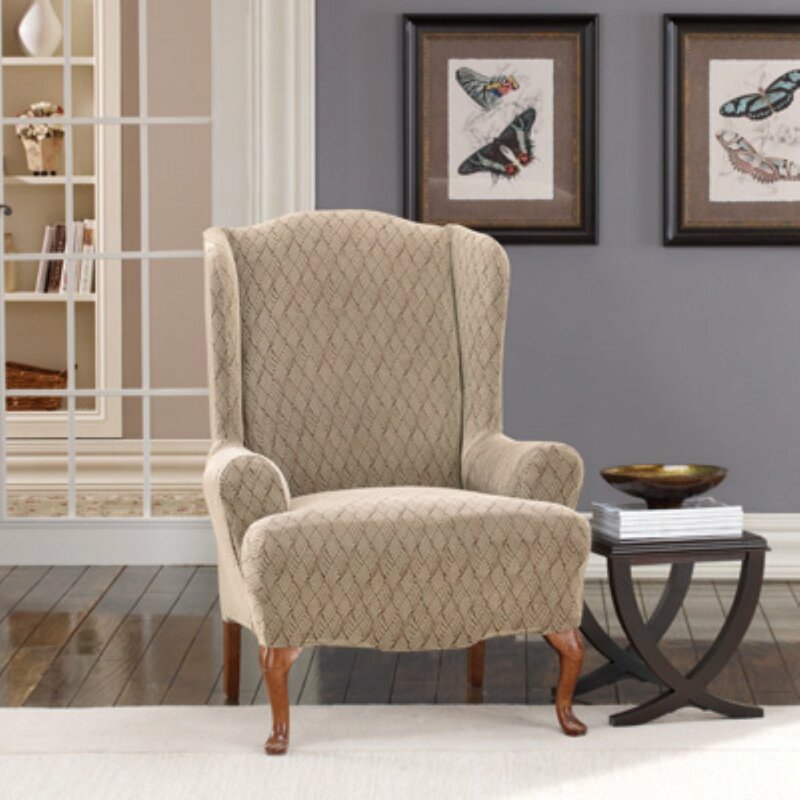 Further, a gray slipcover wingback chair comes with its luxurious additional patent leather. 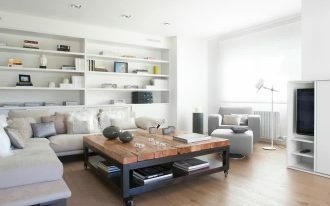 It looks adorable with small wooden table aside. 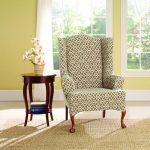 The tone also matches the cream patterned area rug beneath. 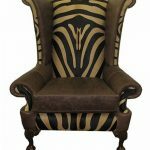 Meanwhile, a wingback chair slipcover steals the joy of animal print with brown leather accent. 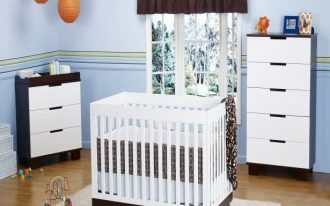 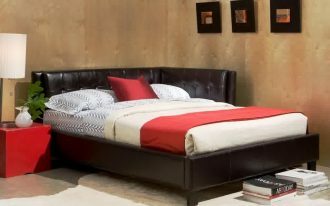 It showcases the real luxurious appeal with firm, large, and tender design. 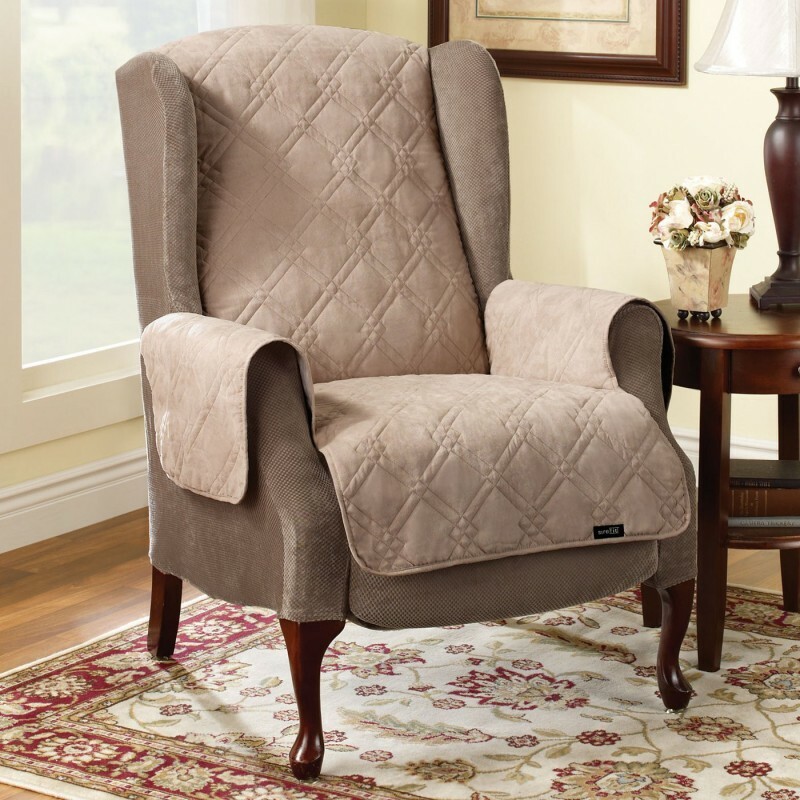 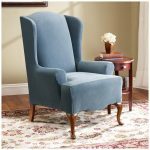 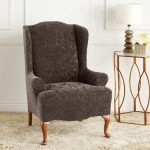 In addition, a gray velvet wingback chair slipcover delivers the best design with sheer pattern on the surface. 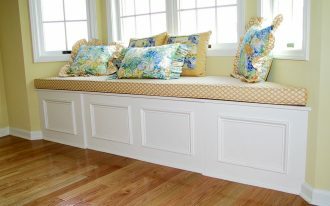 Golden paint metal table takes place aside it for more stunning entire look. 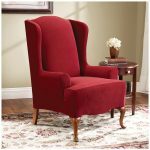 If you want to have a tempting wingback chair slipcover design, you can take the one bathed in seductive red tone. 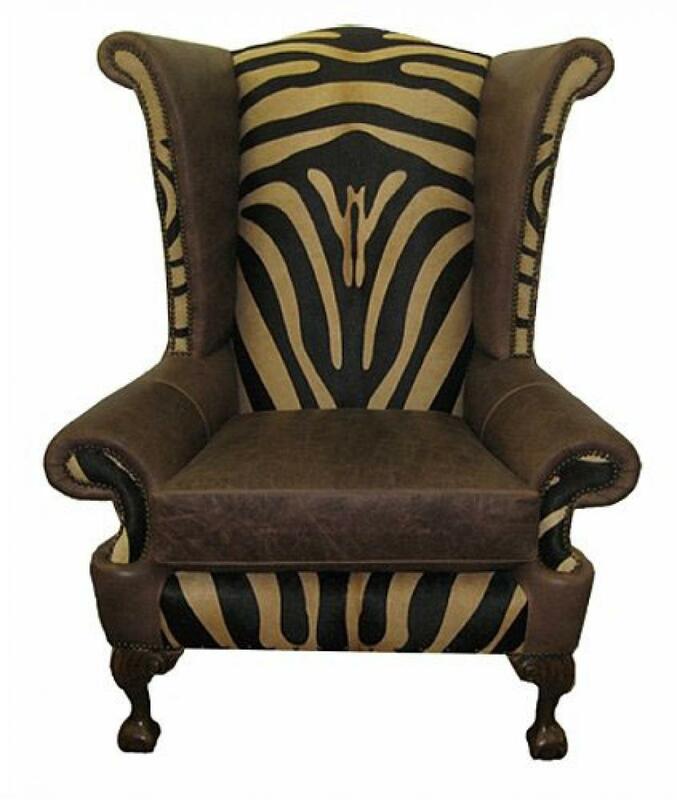 It is both posh and fashionable, so which design that you like the most?